I’ve tested so much I’m seeing spirals. 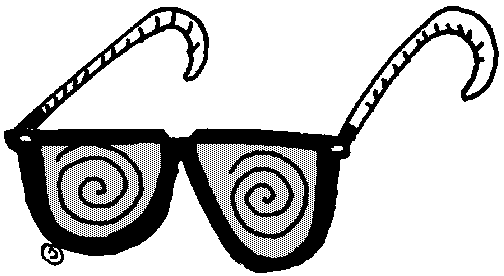 Hello again, readers. Today I’m going to be delving into what my testing for Dallas has yielded so far. I spent quite a bit of time in Chicago recently with my teammate Wes Hollenberg testing, and I played way too many PTCGO matches. I’ve spent more time testing for this event than I would have wanted, but I think I have a relatively sound understanding of Expanded as a whole now. I’ve also discovered that way too many matchups quite literally come down to the coin flip deciding who goes first. So, without further delay, let’s jump right into my top picks for Dallas Regionals this coming weekend. I don’t think I can actually come up with a deck that has been so versatile in quite a bit of time. ZoroGarb quite literally has no matchup that it cannot win, and to my knowledge has a 50/50 or better against almost every deck in the format. I am certain that if I choose to play ZoroGarb, I can almost certainly walk away from Dallas with some amount of CP. However, my goal at this point is to secure a rather high finish—not just earn some CP—so I find myself wary of playing such a high-profile deck. There are a great number of cards that could be included in this deck, and at some point, we have to pick and choose which matchups need the most help. Yes, I’m intentionally playing the “wrong” Oranguru. Obviously, this is a card that essentially wins the Exodia matchup if you go first and find Brigette. I played a copy of this in my last two Expanded Cups, and it certainly pulled its weight. I absolutely refuse to lose to the degeneracy that is ZoroToad. In my testing, I’ve found that a single copy of Pokémon Ranger almost always wins the game when played effectively. You might notice that this is almost the exact list that my teammate Justin Bohkari placed 10th with in Anaheim, and the 2nd Psychic Energy is one of the cards he said he wished he’d had. This is probably somewhat better when we play Oranguru UPR, but it is still extremely strong. Again, there are so many cards that I could see playing in this deck, but I’m hesitant to include a large number of them because they can sometimes harm consistency. ArchieStoise is back with a vengeance, and it’s stronger than ever. Magikarp & Wailord-GX is an incredibly strong card, providing the deck with something it lacked before: a way to utterly cripple ZoroGarb and consistently OHKO Zoroark-GX. Mr. Mime entirely prevents the early-game wipe aspect of Magikarp & Wailord, by preventing the 100 spread that is done to our Bench. This is a card that almost every list plays, but I found myself never using it. I am entirely aware of the fact that it does have its uses in certain matchups, but those matchups are the ones that I’ve decided to sacrifice some favorability in. I sacrificed a little bit of consistency with this list, but I think I gained it back with the inclusion of Oranguru SUM. If I were to cut anything for the 3rd Colress, it would probably be Pokémon Ranger or the Oranguru. I personally believe that ZoroGarb has the best matchup spread the game has seen in years. I legitimately cannot think of a matchup that is downright unfavorable. Previously, ZoroToad was probably the only matchup that I was highly uncomfortable with, but with the inclusion of Pokémon Ranger, I’m quite confident that I will always win or tie this matchup. The plan here is to be incredibly careful with your resources, especially because we don’t have an Oranguru UPR. If our opponent is lucky enough to mill our Pokémon Ranger with a Team Rocket’s Handiwork, there is a very high chance we lose that game. However, it is still quite possible to win the game by making our DCEs last. Trashalanche is also an option that allows us to sneak another large KO on a Seismitoad-EX. When we do manage to get the Pokémon Ranger, it is imperative that we do not play it until we have a VS Seeker to retrieve it right away. Moral of the story: Practice this matchup a lot, and you’re probably going to be able to play it optimally and win the match. This is probably the matchup I’ve cared about the least while testing, but we’ve recently seen a resurgence in the deck’s popularity. The way I see it, we’re going to be trading OHKOs and whichever one of us actually sticks the single-Prize attacker Active and puts our opponent on the odd Prize will win the game. It is imperative that we become the first player to take 2 Prize cards, otherwise it will be hard to avoid losing to multiple Beast Ring. I would imagine that leading an early Zoroark-GX is the best way to go, and then using Trashalanche or a second Zoroark-GX to OHKO whatever GX is on their board at the time. This is another matchup that feels close, but that is simply because of the Fighting-type Weakness that Zoroark-GX suffers from. It is important that we use our Field Blower to remove a vital Focus Sash, and then use our Dowsing Machine to do the same thing. There are situations where it actually benefits us to go onto the odd Prize by KO’ing a Riolu rather than the Lucario, which could prevent our opponent from getting a KO the following turn. That scenario would also let us avoid the dreaded Sledgehammer turn. 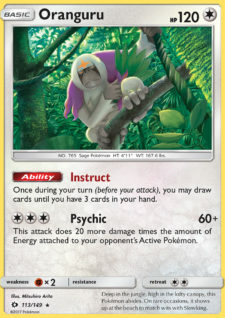 My best advice here is to play as aggressively as possible and to cripple your opponent with a well-timed Garbotoxin. This is extremely straightforward. 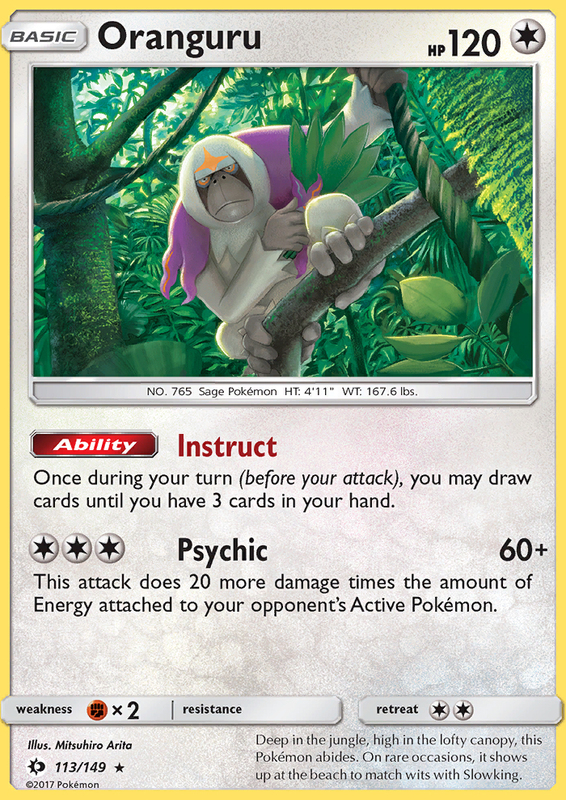 Get the Oranguru SUM on your Bench on the first turn, and you are essentially protected against the Exodia combo. Past that, the matchup is literally just an inferior ZoroGarb. This matchup relies heavily on the coin flip, because if you are able to get Garbotoxin after your opponent only gets one turn, it is very hard to lose the game, assuming they didn’t have a ~6-Energy turn 1. If they miss the Archie, the matchup becomes incredibly favored. The largest obstacle we face here is the monstrosity that is Magikarp & Wailord-GX. We have no great answer for this, aside from a rare Trashalanche if our opponent has been careless. I hate this matchup more than most anything I’ve played this season. It’s literally just two decks that can draw ~20 cards a turn, make their opponent go down to 4 cards, Ability lock, and then take a major KO. And then the other player does the exact same thing most of the time. 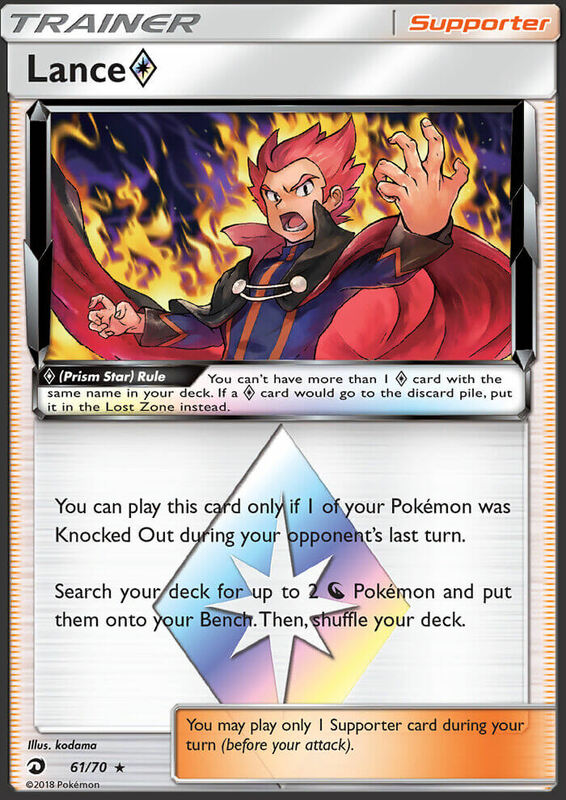 Sure, sometimes the Red Card will cause them to dead draw, but with VS Seeker for Colress being an out for up to 16 more cards, it’s just a race to take Prizes, all the while disrupting your opponent to little or no actual effect. The mirror match is quite literally the biggest reason that I don’t want to play ZoroGarb in a major event. Bees is the greatest threat out of these three because of Gallade, but even then the matchup is entirely winnable because of Garbotoxin+N/Red Card. These decks lack the ability to keep pace with a ZoroGarb that is drawing somewhat well, unless they literally draw the perfect cards multiple times in the match. 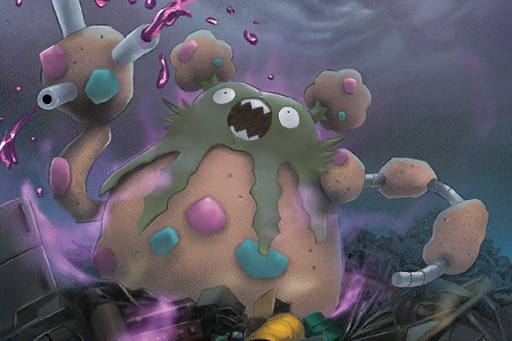 The best route to victory here is to get Garbotoxin in play, target down any EX/GX, and out-speed your opponent. The only reason that this matchup is favorable is because of Trashalanche. Rayquaza burns through so many cards in such a short amount of time, that it is nearly impossible to avoid being KO’d by Garbodor almost immediately. Zoroark-GX also conveniently can hit 180 damage easily, so it can easily KO any Rayquaza that avoid the Trashalanche menace. Sudowoodo GRI also cripples Rayquaza players because they rely on Shaymin-EX, Marshadow, and Ho-Oh-EX to set up in the early game. This is a concept that you may be familiar with from one of my previous articles. Back when I first proposed it, it struggled greatly with Trevenant BREAK. Now, Trevenant is essentially a non-factor in our metagame. It hit me recently that basically every expected matchup is quite winnable for Sylveon. This is similar to the list I posted months ago, but it omits the Trevenant counters that I had thought were necessary. I’ve got to hand it to Lance. In testing, these have been absolutely insane. 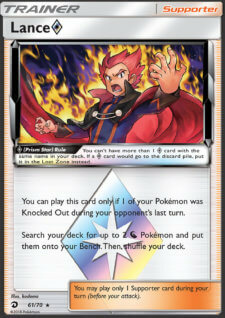 Salamence allows us to discard our opponent’s hand down to 4 every turn of the game, which in turn allows us to Delinquent them to 1 every once in a while. Goodra allows us to play Faba on Garbodor one time and then keep Magnezone live the entire rest of the match. Setting this up is actually fairly easy, with Guzma on the Magnemite being almost the only way to prevent us from getting it. Playing both Lusamine and a disruption card in the same turn is absolutely insane, and is what allows us to win quite a few of our games. Everything else in the list is pretty standard to that of any other Sylveon list, so I’m going to delve into other options next. This is what I would include as a method to prevent my own deckout. Flygon also allows us to never deck out in theory, because eventually, we’re just going to be using Lusamine and another disruption Supporter every turn. We play a lot of cards that can screw us over if prized, so a single copy of Gladion might not be enough. I would definitely consider playing the second copy if I could find the space. I would include this as a way to stall against a few decks, but I feel that Guzma with Magnezone in play covers that field well enough. I would play this for the same reason as the 2nd copy of Gladion, in that I really don’t want to lose because I prized a Lusamine as well as a vital piece of the Magnezone line. Uhh. Alex, you’re clearly crazy. This card is downright awful. Well, since we don’t really have a better way to put the Stage 2 Dragon types back into our deck, I thought that this might be worth including at some point in time. Maybe I’m wrong, but it’s definitely worth trying. This is something that I’ve seen toyed with in quite a few mill decks, and it’s definitely something that I would consider playing if space were to be found. The ability to completely lock one of my opponent’s Pokémon in the Active pretty much indefinitely is something that seems to good to pass up. This has become somewhat of a staple in most control decks, and it should probably be in this list, but I’m unsure as of what to cut at the moment. I’ve always wanted to play HAND in a big event, and this seems like it could be my chance. 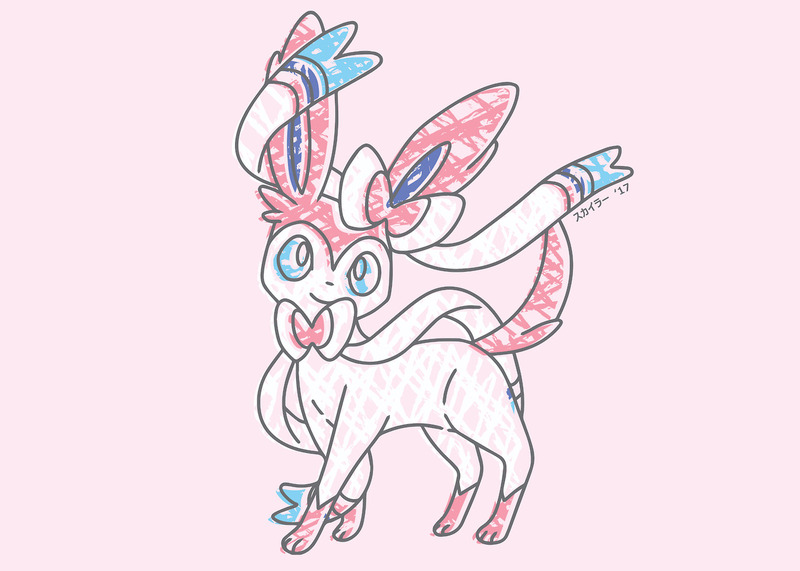 However, I’m unsure of whether a situation where HAND ever actually occurs is possible with Sylveon. Thought this was worth mentioning as an option, but I would personally not play it over the other tech choices. Well, ZoroGarb really only gets 4 DCE in this matchup due to Faba and is entirely incapable of OHKO on Sylveon without using Garbodor GRI. I think that we should be able to successfully remove all Energy from play relatively easily in the matchup, so I could sit down against this and feel pretty good about it. This actually feels like a matchup that Sylveon could win. I would definitely never put Magnezone into play before we remove every DCE from play due to the Guzma/Quaking Punch threat. The game plan here is similar to that of ZoroGarb: Faba a lot, then mill to win the game. I’m much less confident of this matchup because of their ability to discard our own Energy, but I feel that I could win the matchup pretty often. Buzzwole almost always has to bench some odd Pokémon that is there for support rather than attacking. It is fairly easy to Guzma that Pokémon up and stick the Snorlax (if you play it) Active for a good long time. If we can stick something Active, we can generally discard quite a few Energy before they get out of the Active position. This is essentially the same thing as the Buzzwole decks but even easier because they lack the ability to do things such as Max Elixir and accelerate Energy beyond our control. Yup, we just lose if they get Blastoise in play. Next! This is fairly straightforward. We either remove the 4 Energy from play or we lose. Whichever happens first decides the game. 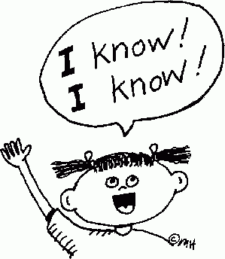 That’s great, but I don’t yet. I’ve put quite a bit into testing Expanded recently, and I still have no idea what I am actually going to play. However these are two of the decks that are at the forefront of my planning, and I highly recommend them. Be sure to put quite a bit of time into testing these decks before playing them, as there are many decisions that greatly affect how your games will go. I want to thank my brother, Christopher, for being the one to initially get me into writing for 6P. I’m quite sure that I would never have even been interested in writing for anyone had he not been involved with the site. So again, thank you Christopher for that. I’ll see some of you in Dallas and the rest of you later into the month for my next article, which will hopefully be Standard. As always feel free to message me or approach me at events with any questions you may have. Until the next one.